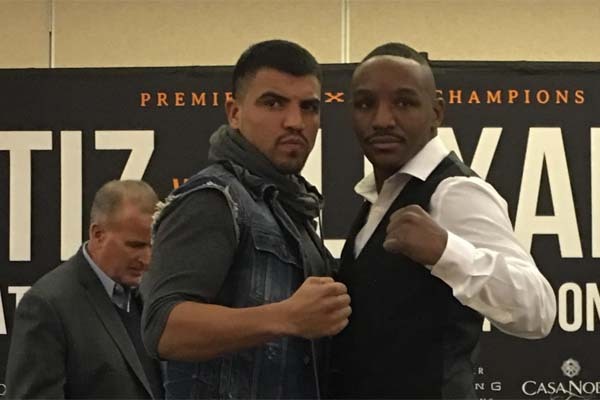 A fight between Devon Alexander and Victor Ortiz would have been highly anticipated at one point years ago, but now, they’re simply fighting to stay relevant. Alexander returned after a long layoff brought on by painkiller addiction in November and looked sharp. As he attempts to reclaim his former status as welterweight titleholder, he’ll meet another fighter looking to rejuvenate his career. Alexander (27-4, 14 knockouts) will fight fellow former welterweight titleholder Victor Ortiz on February 17, the St. Louis native announced. The crossroads fight could land on the undercard of the Danny Garcia-Brandon Rios bout set for that night in Las Vegas. Alexander, 30, impressed with a 10-round shutout decision over Walter Castillo, his first fight in more than two years. The flashy combination punching which carried him to world champion status was on display, as were his fast hands and feet. Before the comeback fight, Alexander was considered a finished fighter. After all, he had suffered three losses in four fights, none more disappointing to a decision defeat to journeyman Aaron Martinez in October 2015. Alexander would battle painkiller addiction for the next couple years, and after a six-month rehab stint, he was cured.